Donors: We’re excited to announce our new online platform for receiving donations! Make a donation to any fund at the Foundation in a few easy steps. 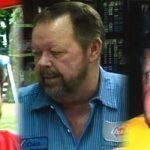 Introducing the Chuck Criswell Memorial Scholarship Fund. Awarded annually, this new scholarship is intended for a Sycamore High School graduate with a track record of service to the community who has intent to enroll in a trade school, college, or university. The financial need of the student/family will be a key factor in the scholarship consideration with the award going to the student in the greatest need. Chuck Criswell moved to Sycamore with his mom and siblings when he was in the third grade. In his junior year, coach and teacher Pete Johnson helped him get into the Diversified Occupations program so he could help his mom support the family. After high school, Chuck married Terry Kelley and they had three children, Tammie, Shelley, and Charles Jr. (Chip). In 1967, Chuck started working at University Volkswagen on the wash rack. He went from wash rack to mechanic to service manager before opening up his own shop, Chuck’s Auto Center, in 1990. “Quality work at a fair price” was Chuck’s motto. Throughout his adult life, Chuck found many ways to give back to Sycamore. He started the Turning Back Time car show in 2000 and ran it for 12 years until back surgeries stopped him and he had to step down. Chuck believed all money should stay in Sycamore to help out the community. Chuck also hosted the Baby Boomer Bash class reunions for the classes of 1960-69 for several years. He was featured in the Sycamore History Museum exhibit “Faces of Sycamore” from April 2016 to April 2017. Gregory B. Widerberg in 2018 and during his high school basketball years playing for DeKalb High School. Announcing the Gregory B. Widerberg Memorial Scholarship Fund, awarded on an annual basis to a graduating DeKalb High School senior majoring in education. Greg Widerberg was born (1947) and raised in DeKalb, IL, along with his four siblings. Throughout school, Greg participated in sports including football and basketball in which he received honors and held scoring records. After graduating DeKalb High School, Greg attended Northern Illinois University, where he majored in physical education. While attending college, he met the love of his life, Carol, and the two eventually married after graduation. 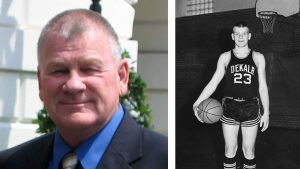 As a teacher, Greg taught PE and coached football and basketball. During the last 5 years of his career, Greg taught adaptive P.E. to children with special needs from pre-school to high school. He would visit up to 15 schools during the week, teaching all grade levels. Out of his 32 years as an educator, he enjoyed these years of teaching the most. Greg passed away on June 20, 2018. He will always be remembered by his friends and family as a kind and loving person. 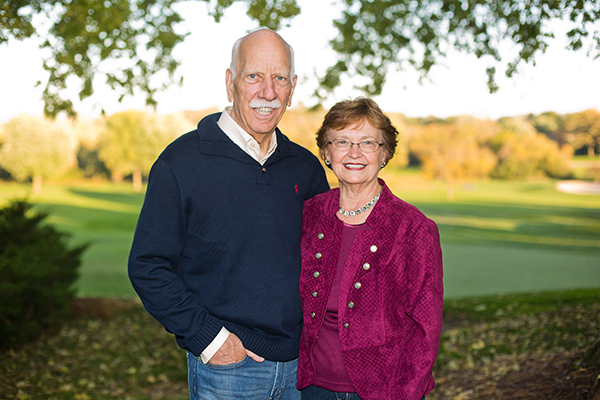 Local philanthropists Joe and Karen Grush. Introducing the Karen & Joseph Grush Charitable Fund. This new donor advised fund will provide support to DeKalb County organizations that promote services for families and children. Karen and Joe Grush know the benefit of supportive families. As first-generation college students, they greatly benefited from the support of parents who believed that education and public service can open doors to better and fuller lives. 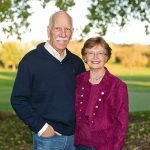 Throughout their lives, the Grushs have shared their knowledge and talent with several philanthropic organizations as members, office holders, and volunteers that align with their passions for education and public health. 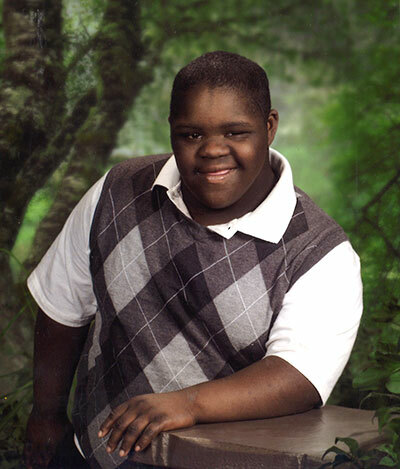 Introducing the Lil’ Sam Joy Fund, created in memory of Samuel P. Baker II, better known as Lil’ Sam. Lil’ Sam was diagnosed early in life with Down syndrome. 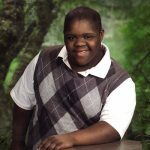 During his 15 years of life, Lil’ Sam was blessed and fortunate to experience many things, including access to the resources necessary for daily living. His family established this Fund at the DeKalb County Community Foundation in order to continue this legacy of kindness, access, acceptance, and teaching. 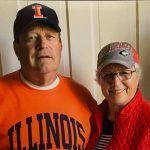 Samuel and Karen Baker are long-time residents of DeKalb and proud alumni of Northern Illinois University. After graduation, they chose to remain in DeKalb to stay close to immediate family, church, educational offerings, and because of the close knit community they grew to love and appreciate. The Bakers have three children; Lauren, Sinclaire, and Samuel. Lil’ Sam passed away unexpectedly in May of 2016. With a desire to keep his memory alive, the Bakers created the Lil’ Sam Joy Fund to inspire and help others with special needs. Introducing the DCNP Endowment Fund, a new field of interest fund at the DeKalb County Community Foundation. This purpose of this fund is to provide administrative/operating and/or programmatic support to programs and/or organizations that increase the capacity/effectiveness/efficiency of nonprofit organizations serving DeKalb County, IL. The Community Foundation is embarking on a time-sensitive campaign to grow an endowment to sustain the DeKalb County Nonprofit Partnership (DCNP) for the future. The Stronger Together campaign’s goal is to grow the DCNP Endowment Fund to a total of $2 million. The Fund is currently valued at approximately $1.4 million. The Community Foundation has committed $1 million as a sign of its dedication, along with additional contributions from donors excited to provide core support to DCNP. We are close to our goal of endowing this important program with only $600,000 left to go! The Douglas C. and Lynn M. Roberts Family Foundation has generously offered a dollar for dollar match up to $300,000 for donations and pledges made through December 31, 2018. Announcing the Luan and Greg Olson Scholarship Fund, a new scholarship at the DeKalb County Community Foundation. The scholarship will provide an annual award to a graduate of Sycamore High School in Sycamore, IL. The Olsons were scholarship recipients when they attended college and thus wanted to create a fund that would “pay forward” the generosity they experienced. Hailing from Bushnell, IL, Luan and Greg are both graduates of universities in Illinois. Luan attended Illinois State University and the University of Illinois, but ultimately graduated with a liberal arts degree from Northern Illinois University. Greg earned his B.S. in agriculture from the University of Illinois and later was awarded an MBA from Northwestern University. Luan spent the bulk of her career as a deputy clerk for the DeKalb County Circuit Clerk. Greg’s entire career was with Monsanto’s DeKalb division. There he served in various sales, marketing, human resources, and administrative positions. The Olsons have three children, all of whom graduated from Sycamore High School and the University of Illinois.